Rajab Mubarak to all of you! Rajab is a very blessed month, with many birthdays and special events. The very first day of Rajab is the birthday of Imam Mohammed al-Baqir (AS). 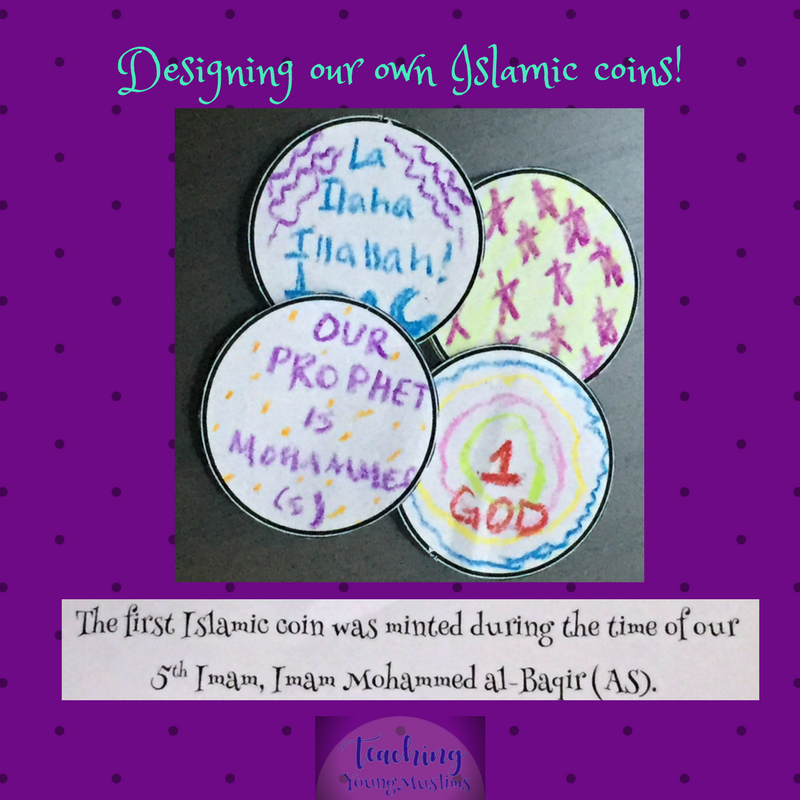 After designing your coins, it would be fun to use it in a “reward” system around the house or classroom. You can give a coin for some extra-special behavior, and they have to cash in those coins, for say, some extra technology time. You can adapt that to whatever works in your home/school. By designing the coins themselves, the kids would have a little bit more ownership of them, and it can be a little bit more motivation for earn their “own” coins. To download the templates for the coins, click HERE. If you plan to cut the coins apart and use them, make sure you print single-sided! If you would instead like to have each person design one BIG coin, perhaps for a coin designing contest, instead of several little coins, you can download the worksheet for that HERE. Previous PostDIY Arabic Alphabet FlashcardsNext PostWhat’s in a Name?